Two classes. Two documentaries. One incredible collaboration. In professor Kari Barber’s documentary film class each fall, students are required to pitch, film and produce a short documentary film within the semester. This semester, however, marked a first for both Barber and the Reynolds School, a partnership with Noticiero Móvil, professor Vanessa Vancour’s bilingual student news studio. Vancour says Barber approached her after realizing three of her documentary students were previous Noticiero Móvil students. “I did a video for Noticiero Móvil last year in Vanessa’s Noticiero Móvil class in the fall,” student Karina Gonzalez said. Gonzalez directed “Mas Que Pan,” in which her team followed Guatemalan baker Fausto Salazar and his family who fled to the United States after two of his sons were killed. “I was originally going to do a story on someone else but that fell through… and then Vanessa was like, hey, you should check out this like Yelp review of this Guatemalan baker here in town,” Gonzalez said. That Yelp review lead Gonzalez to the Salazar family, and she produced a video for the Noticiero Móvil Facebook page. The video, which garnered 13,000 views, was kept short for social media, but Gonzalez knew she wanted to return to Fausto and his family. “Two minutes was not enough to tell his whole story,” she said. Gonzalez took the documentary class specifically so she could film a documentary on the Salazar family. Barber supported this wholeheartedly. The other of the two Latino documentaries, “Reyna Latina,” follows a young Mexican American drag queen by the name of Jorgie Silva. Student Taylor Caldwell, also a previous student of “Noticiero Móvil,” said the idea came from a broader interest of drag in Reno. As they continued to follow Silva and his journey, it became apparent that they would need to film in Mexico. Silva planned to visit family and perform in Guadalajara. This was the first time students have traveled internationally for the documentary class. “This was an example of the dean saying, ‘Wow, this really does align with Noticiero Móvil and our bilingual mission, and we have funding that supports this kind of work,’” Vancour said. This organic blending of resources and collaboration inside the Reynolds School is something Vancour and Barber both want to continue. “For me, it just feels like such an obvious thing and I love working with her because it’s so easy,” Vancour said. Despite the hard work and time it took her team, Gonzalez said the final film was worth it. 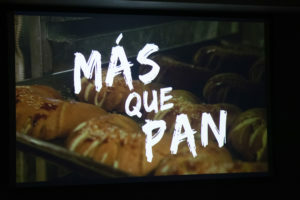 At December’s Documentary Film Festival, “Mas Que Pan” took home four awards, including Best Documentary and the Audience Choice Award. Caldwell won Best Director. 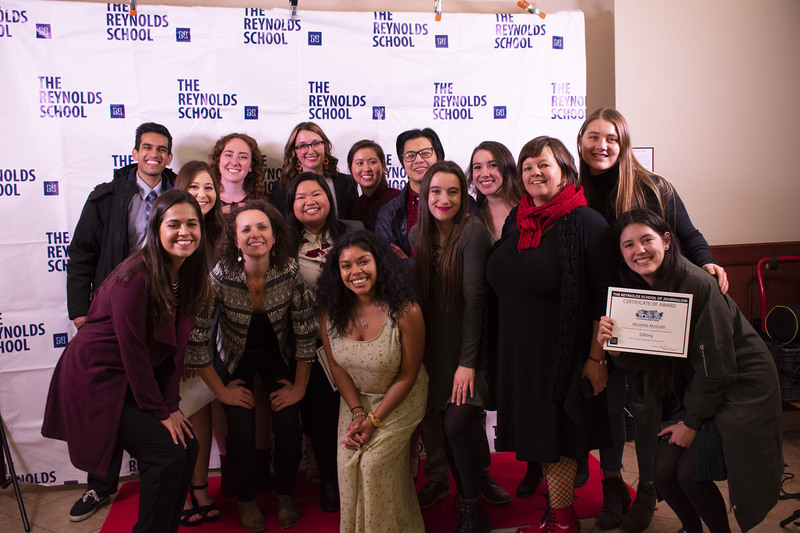 But the experience of Noticero Móvil and the documentary class working together represented something at the core of the Reynolds School: experimentation, resourceful collaboration and a passion for storytelling.